The Super Twins can change size when they rub their tummies! Min can shrink, and Max can grow. So they use their power to fix all kinds of sticky situations, from rescuing people to cleaning the Taj Mahal! 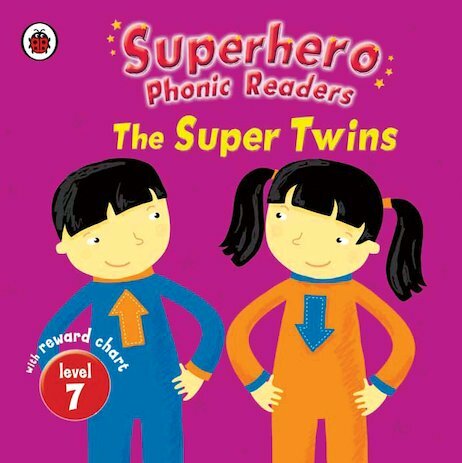 A bold, bright phonics reader from a fantastic Ladybird series, telling a gripping story in dynamic words. The book comes with puzzle pages to test comprehension, plus a motivational reward chart.